Non Stop Bhangra is a unique experience that celebrates the beautiful and vibrant spirit of Bhangra, a traditional Punjabi folk music and dance. 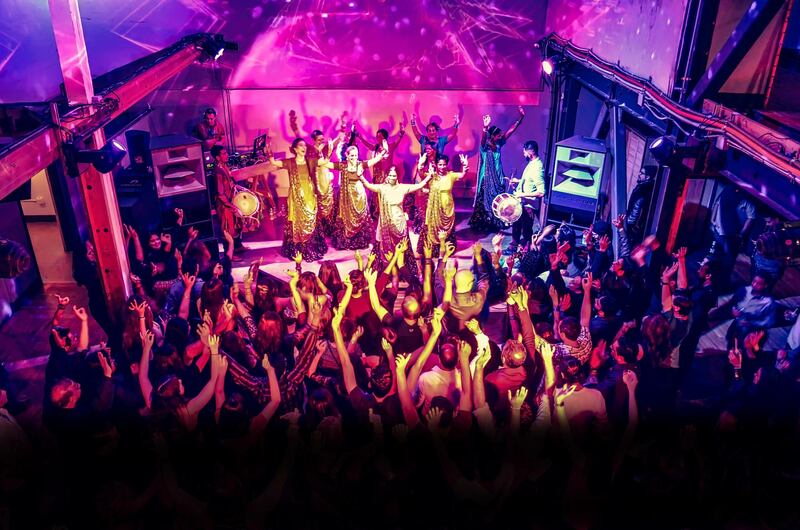 Imagine a scene from a Bollywood movie smack in the middle of a thumping nightclub with swirling colors, the rhythm of pounding feet, bouncing shoulders, the relentless energy of brilliant beats, and wall to wall smiles - that's NON STOP BHANGRA. Non Stop Bhangra has been hosting monthly events for 14 plus years in the San Francisco Bay Area and has now expanded its productions to Los Angeles. In addition to producing their own events, the Non Stop Bhangra collective has been featured at landmark platforms from museums, performing art centers, festivals, nightclubs, community centers, to youth outreach events and more. Want to catch one of our events or performances? Check out our calendar of upcoming events or sign up on our newsletter and stay in the know.